OutSec Review: is Typing for OutSec a Scam? OutSec is a British based online secretarial company. OutSec secretaries do a variety of typing and transcribing for their clients. They’re looking for people who can work daytime hours in the UK. If you’re in the US working a day job and want something extra, you can do this in the early morning before you go to work. If you’re interested in getting paid more to transcribe, I highly recommend the course at Transcribe Anywhere! Make sure to join their free 7-day course to see if transcribing from home is right for you! In this OutSec review, I will cover the requirements, application process, pay, and if it’s a legitimate opportunity. If your application is successful, you will hear from OutSec within 14 days. If you don’t hear from them, then you were not successful at this time. They receive too many applications and can’t respond to everyone. How Much Does OutSec Pay? I haven’t found an actual number yet, but they know “if you pay peanuts, you get monkeys!” OutSec is confident that their pay structure is very competitive. They have a standard formula, so you always know how much you will be paid per audio minute. You will not be an employee, rather a “member.” You will invoice OutSec at the end of each month. OutSec makes a monthly direct deposit payment to UK-based typists on the 15th of the month, from the previous month’s invoice. All other typists will be paid by PayPal with the exchange that is equivalent to UK Sterling. OutSec Members submit a form weekly that outlines their availability for the following week. Clients will be chosen for you based on appropriate skills and availability. You will be trained to work with that client. Then when the client has work to be done, the head of your department will notify you that there is work available. 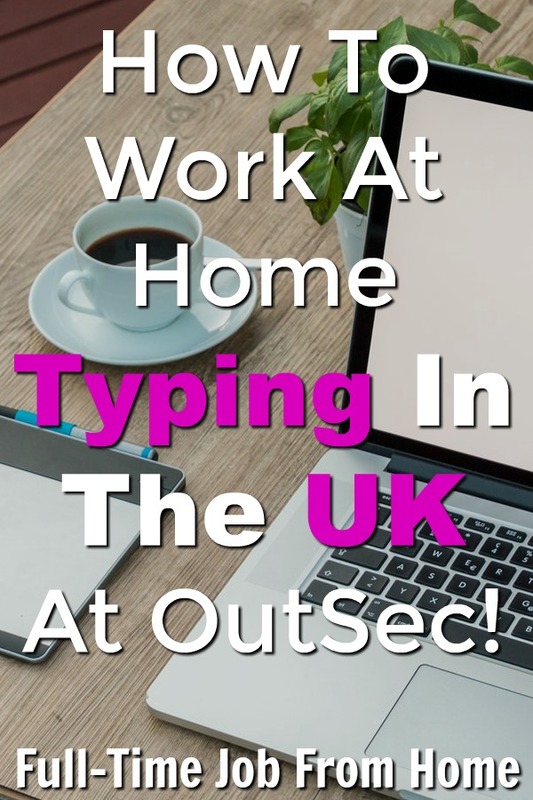 OutSec is based in the UK, and they need people to work UK “office hours.” But they want people from around the world, as long as you can work when needed. Preference is given to people who can work 4 hours during the UK office hours. I’m not finding any job reviews for OutSec. I hate when I don’t hear real feedback! What I did find is that they have a small presence on LinkedIn. And they are verified by Google along with an address and phone number. On Google, they have a five-star rating, but all of the reviews are from clients. Either way, seeing that they are making clients happy is always a great sign! Is Typing for OutSec a Scam? Based on my research, OutSec is not a scam. If you qualify, the application should be quick and easy enough to find out what they are offering to pay. If you want to apply, go here to get started! If you’ve worked for OutSec, please post a comment and tell us what you think.